A daughter, Ashlynn Grace Brant, was born July 21 at the Salem Regional Medical Center to Chuck and Terra Brant of Maple Street, Salem. Ashlynn weighed 8 pounds, 5.9 ounces. She joins siblings Mike, 17; Haley, 14; Isabella, 12; Xavier, 12; and Macie, 3. Maternal grandparents are Dan and Sylvia Crumbacher of Poland and Bruce Clingerman of Youngstown. Paternal grandparent is Sandra Glass of Salem. 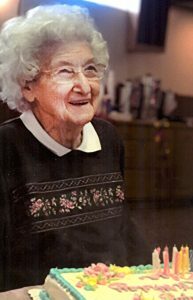 Great-grandparent is Alice Stevenson of Rutledge, Tenn.